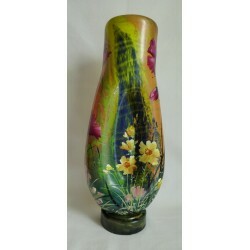 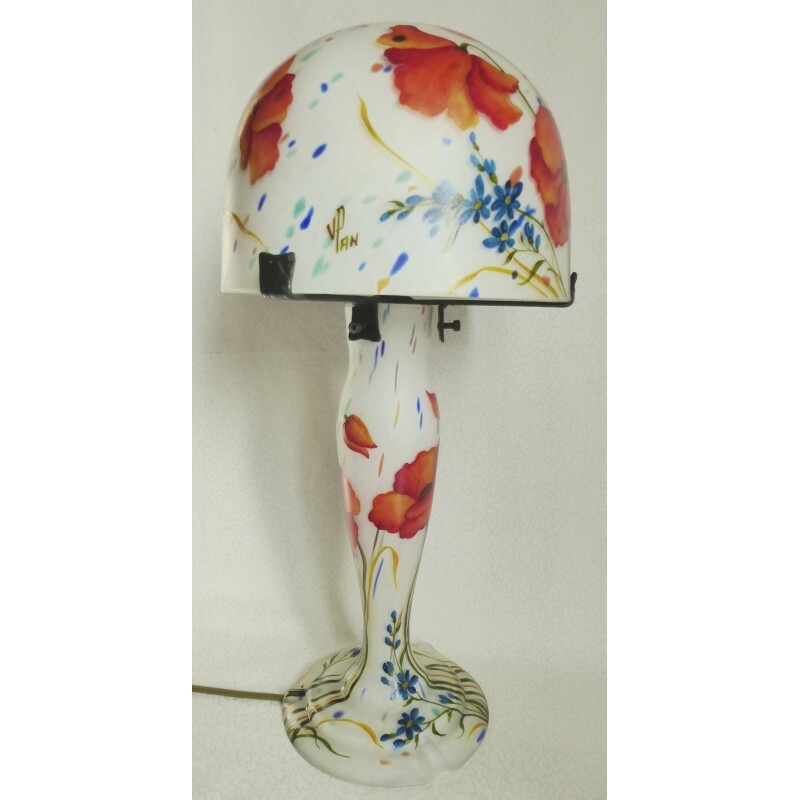 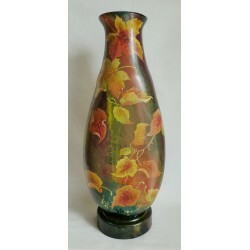 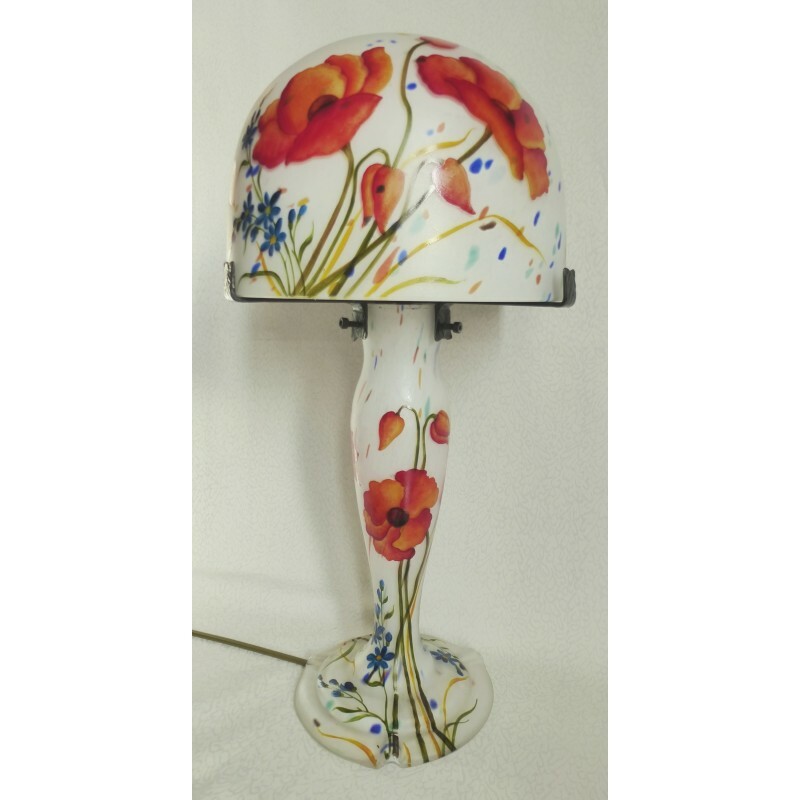 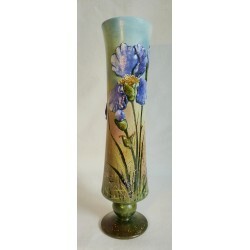 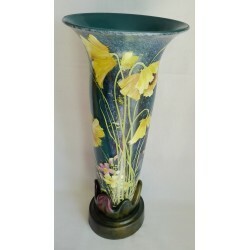 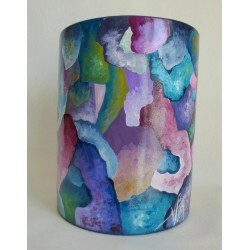 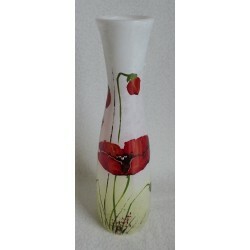 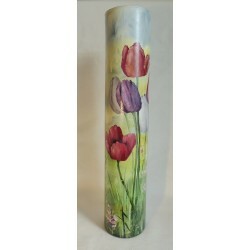 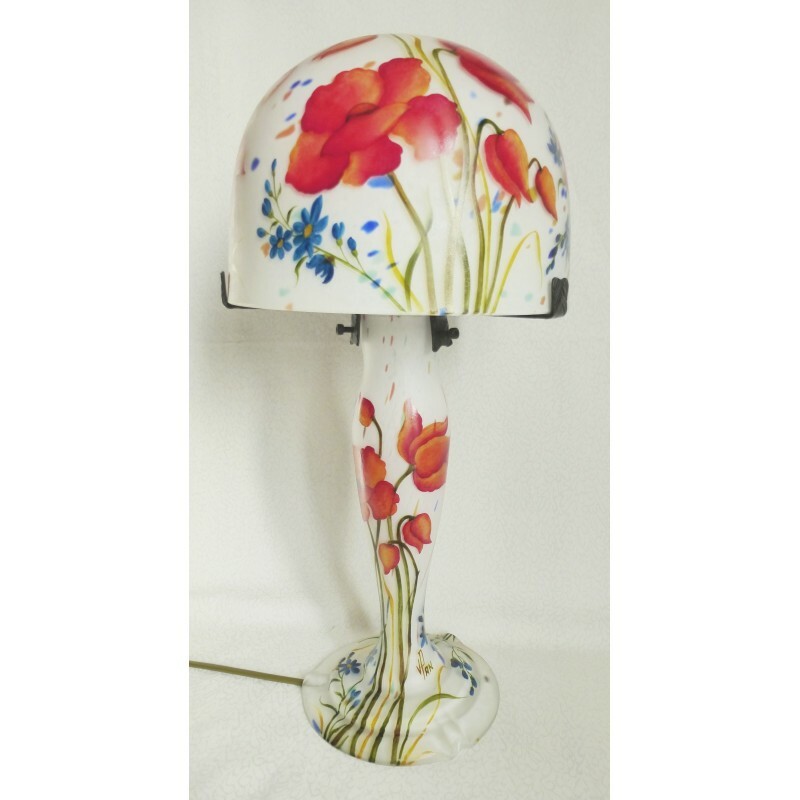 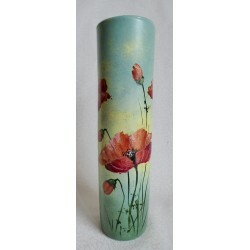 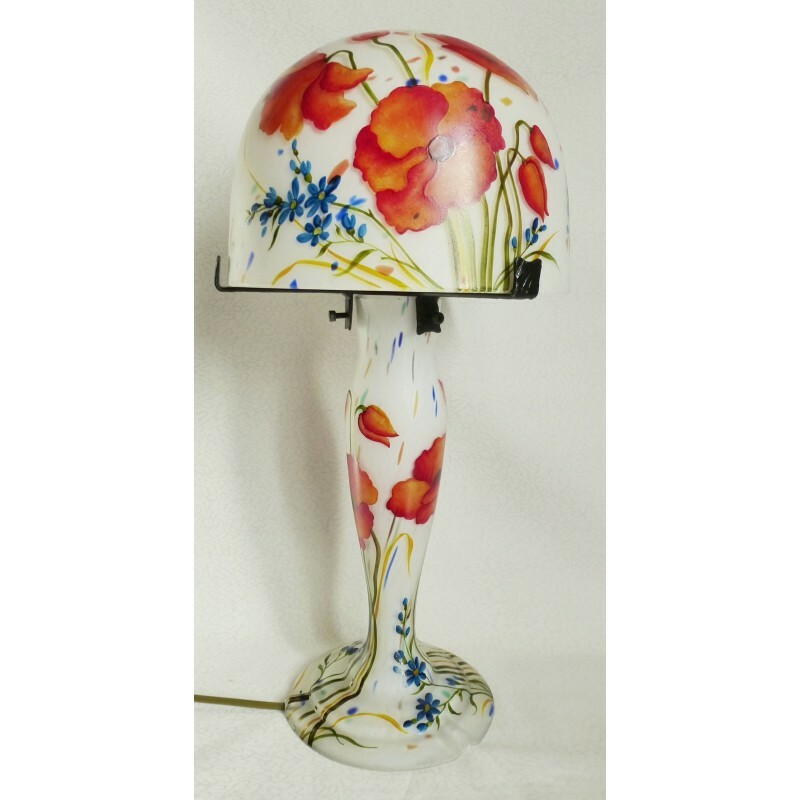 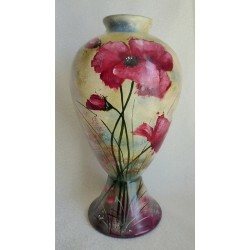 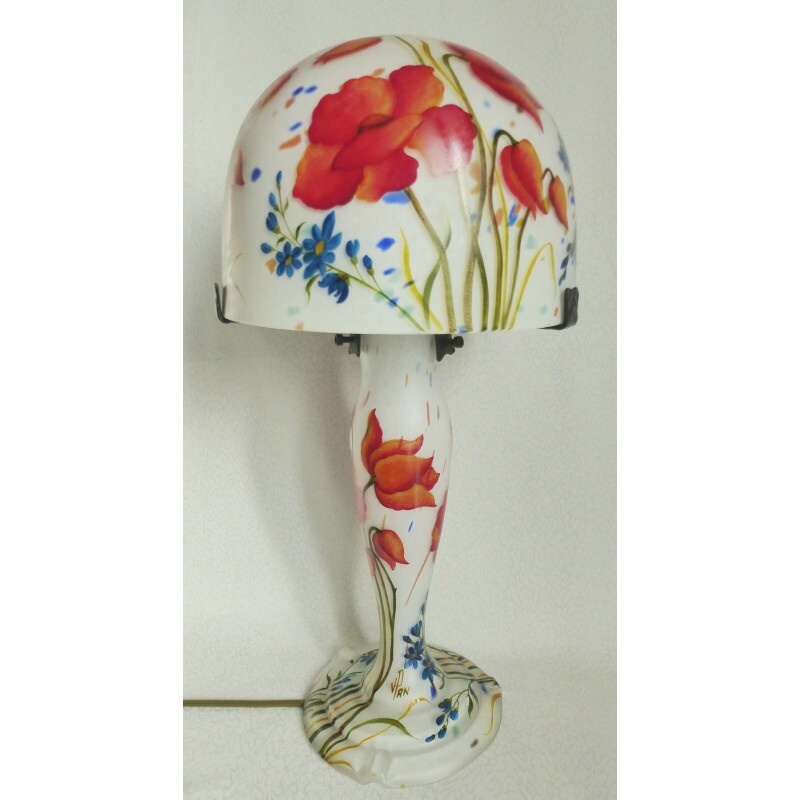 This is a white-background lamp with multicolored stains which highlight the divine essence of poppies. 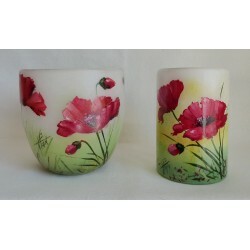 The beautiful contrast between the white background and the fire-like poppies brings on charm and a romantic feeling. 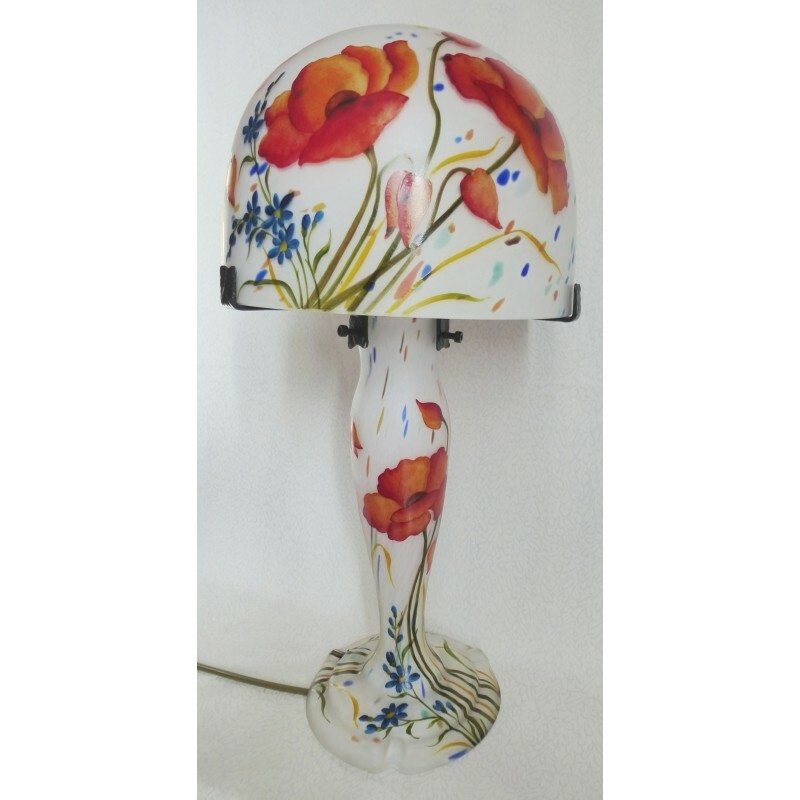 This decorative lamp presents lovely poppies and it is made of frosted glass, signed by the artist Viorel Panait. 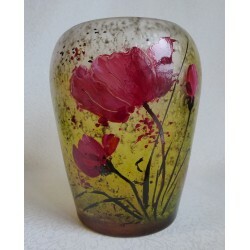 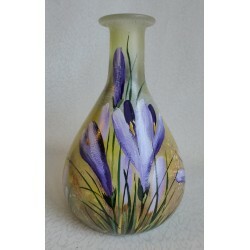 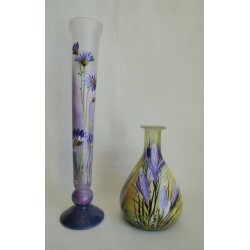 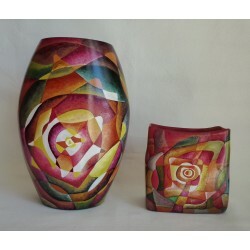 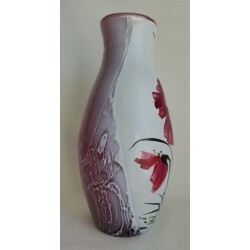 It is painstakingly mouth-blown, the glass being tinted while still being hot by glass-makers with a large expertise. 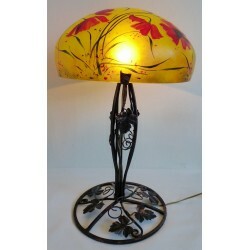 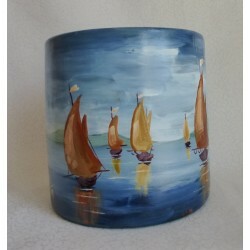 This lamp is entirely hand-painted in the style of stained glass. 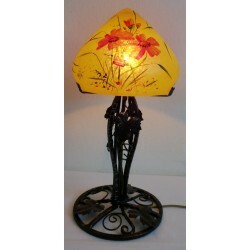 It consists of 3 parts: the lamp-shade, the foot and the metal stand (wrought iron). 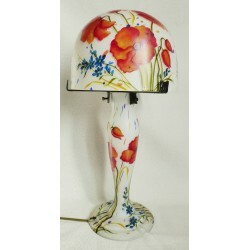 It works with 2 7-watt bulbs (bulbs included). 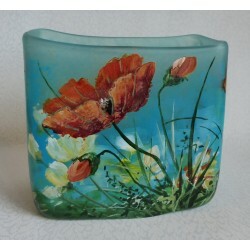 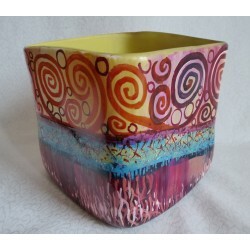 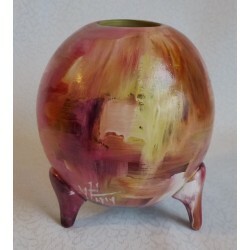 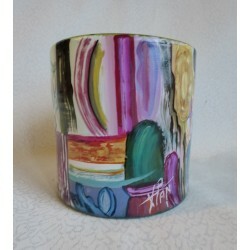 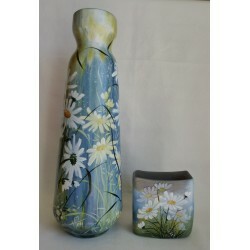 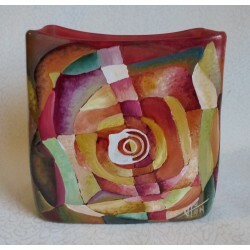 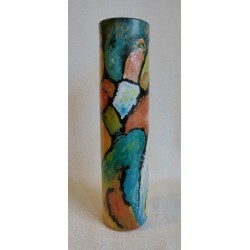 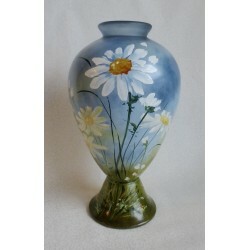 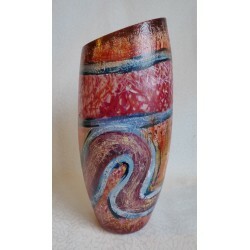 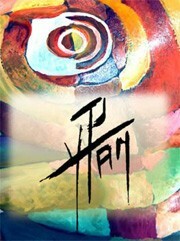 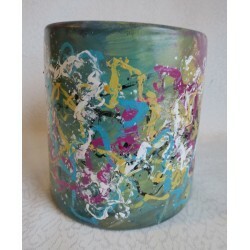 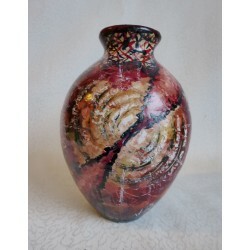 It is a high quality work of art which brings warmth and love to every house. 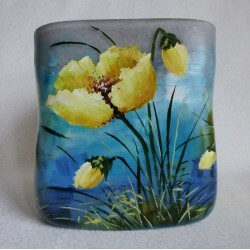 Fast, neat, safe shipping (bubble wrap) all over the world.